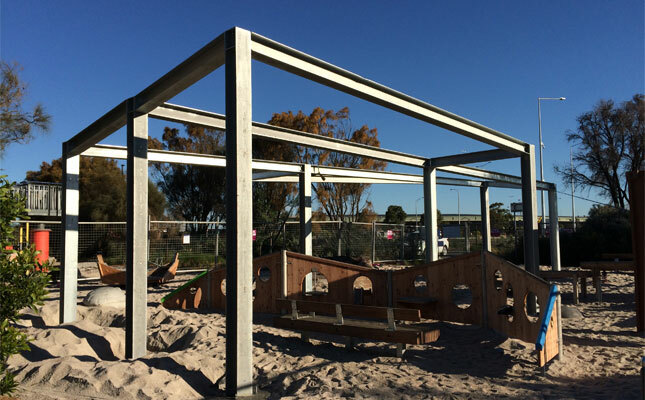 A permanent new shade structure is currently under construction in the playground at Maritime Cove, which will help keep little visitors and their parents out of the sun while they play. A part of the playground has been temporarily fenced off while the shade structure is installed, so please note there will be changed access and observe all safety signage in the area. The new, shadier playground area is expected to reopen by mid-June 2017.